Do you remember how during the months of August and September, articles about school lunch ideas were everywhere – how to plan, how to prepare, tons of ideas and recipes? It seems that nobody talks about school lunches by December. We all plan and prepare school lunches 5 days a week (or we help our kids do it) and we will keep doing this until June, but after September, so little is said about them. 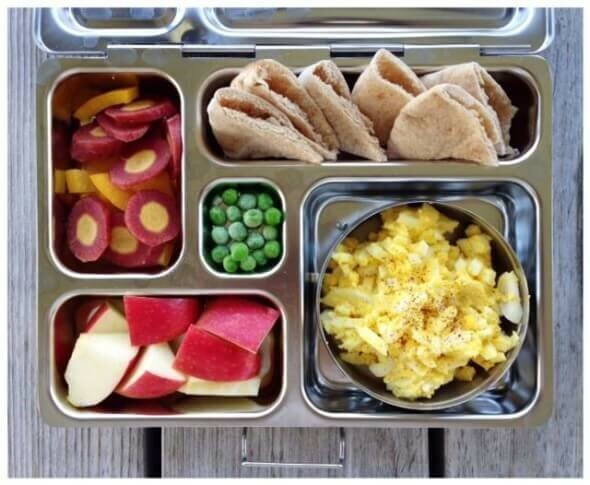 At the beginning of the school year I am excited to pack school lunches as I imagine how my son will enthusiastically open his lunch bag, be amazed by the delicious wonders he finds inside, and slowly savour every bite of nutritious foods I made and packed with love. Yeah, the reality is that although I make and pack the school lunches with a lot of love and care, my son will probably quickly eat all of his food while being distracted by what’s going around him and by the conversations he has with his friends. As days, weeks, and months pass, I become less and less excited about packing school lunches as I get overwhelmed by the monotony of it. And sometimes by a lack of ideas. Do you feel the same? So what if it is December and we are getting ready for Christmas? We still have almost two more weeks of school lunches to prepare. I need some inspiration and maybe you do too. I decided to revive blog posts from some of my favourite bloggers that provided me with useful lunch ideas back at the beginning of fall and share them with you. I started following Catherine’s blog when I was pregnant with my son (more than 7 years ago – wow, time flies). I was attracted by her fun videos and easy recipes. Catherine, mother of 3, shares kid-friendly, easy, and yummy recipes on her blog. Some of the recipes are gluten-free and dairy-free, but really, no matter what kind of nutrition style you and your family follow, you will find tons of recipes to satisfy your taste buds. 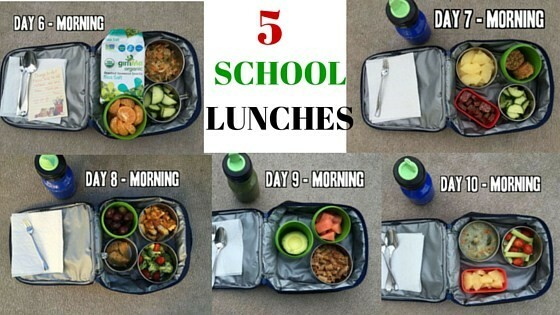 5 days’ worth of before and after photos of gluten-free and dairy-free school lunches. My son is in grade 1 and he loves delicious food. I try my best to provide him every day at school with food he enjoys eating and also food that is nutritious and helps his little body grow and stay healthy. I love all the recipes Maryea, mother of 2, shares on her site. Delicious and nutritious, just the way I like them. Many of the recipes are gluten-free and dairy-free, so please go and browse Maryea’s blog. I am certain you’ll find new favourite recipes to add to your family’s recipe file. 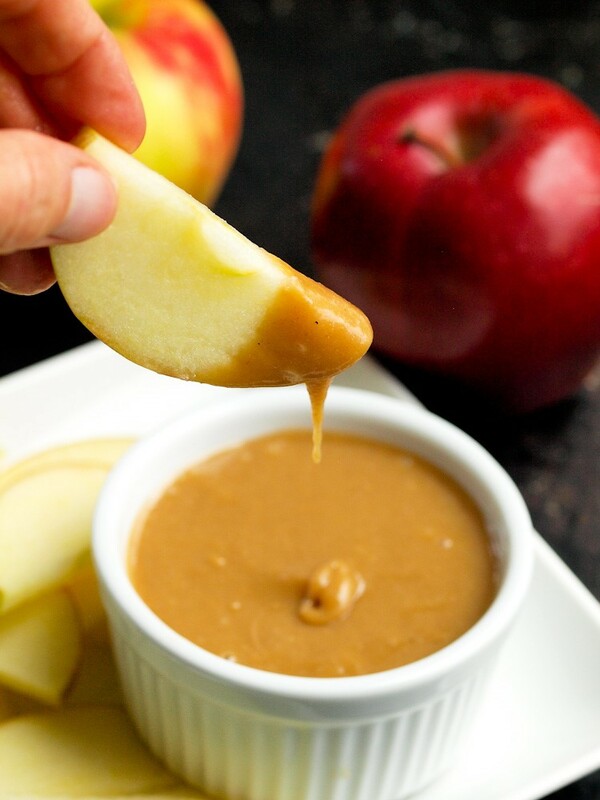 Like this one: Caramel Dip. Go make it now as it is yummy and even your little picky eater (if you have one), will enjoy it. Every year, Lisa compiles many school lunch ideas into a big blog post. If you read this year’s round-up post, you will find the links to the previous years’ school lunch ideas. Lots and lots of inspiring ideas and delicious recipes. Some of the recipes and school lunch ideas that Lisa, mother of 2, shares on her blog are free of gluten and dairy. Are you looking to find reliable gear for packing a school lunch? Renee’s guide has many ideas on which stainless steel containers to choose to make your packing-a-lunch-every-day life easier. In my house, we use Kleen Kanteen as water bottles and Konserve Kids as food containers. Renee is a mother of 3 and she shares amazing recipes (many are gluten free and dairy free) on her blog. 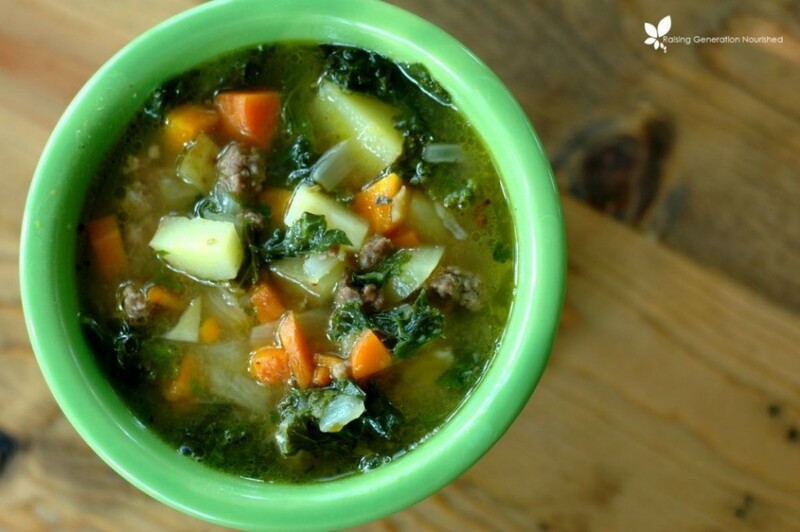 Like this one: Beef and Kale soup. Oh my goodness! 5 more days’ worth of before and after photos of gluten-free and dairy-free school lunches I packed for my son. You might find fish eggs in there (yes, delicious fish eggs). While you might not want to offer your child fish eggs (although I wonder why not? 😉 ), please remember to keep offering your child new foods on a regular basis. 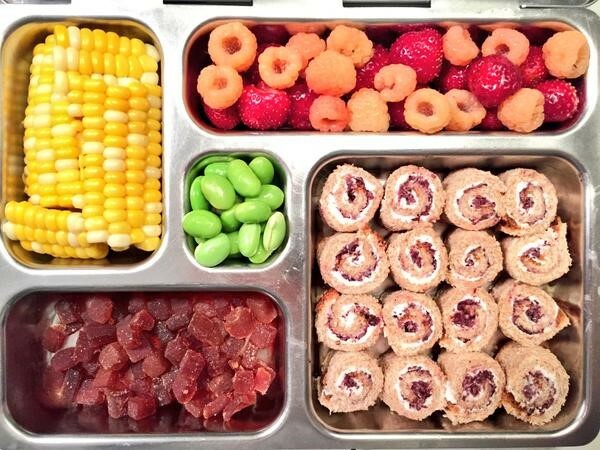 Do you need more help planning and organizing your child’s school lunch? Dreena, mother of 3, can help you out. Dreena’s vegan recipes have charmed my family’s taste buds for years. If you want even more school lunch ideas, please check out Dreena’s newest cookbook Plant-Powered Families. 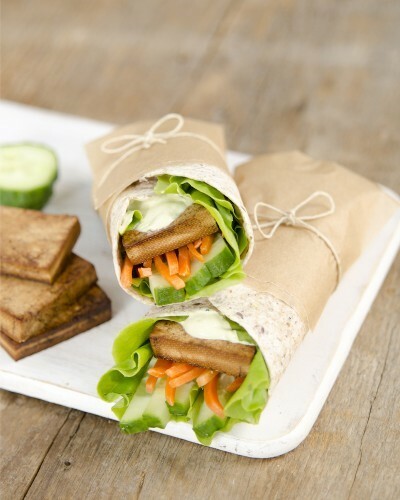 In addition to lots of great recipes, this cookbook has many delicious vegan school lunch ideas. 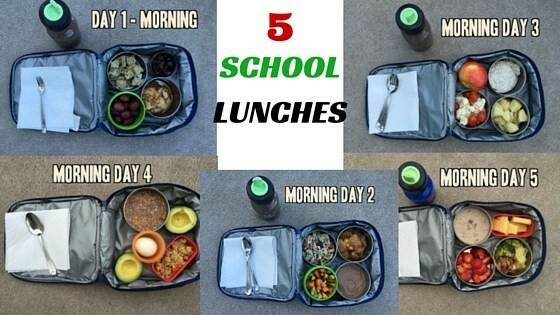 I would love to hear your thoughts on these great school lunch ideas. Did you find new recipes or ideas to hold you over until the school winter holidays? Or to inspire you in the new year? P.S. I’ve updated the “About me” page. Please check it out here.